Our veterans do matter! Unfortunately, some go homeless because they do not have the funds to place deposits for housing. Please help us by donating $15 or more to add a star to our flag and thus to honor our Vets. The collected funds can be used to provide the initial deposit for housing. We have 50 stars so far! See below for ways to donate. Thank you! Our Exchange Club covenant of service states that we discharge the debt I owe to those of high and low estate who have served and sacrificed that the heritage of American citizenship might be mine. So we have partnered with Veterans Matter, a national nonprofit. Veterans Matter is dedicated to providing deposits/first month’s rents for ready, waiting veterans who can use can use HUD-VASH vouchers to cross the threshold into safe, permanent housing. 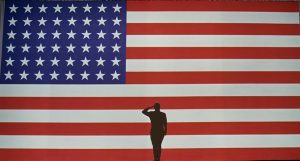 Veterans Matter has a 100% success rate in getting veterans housed in a government program that has a 91% success rate in keeping veterans housed. There are veterans waiting now; so, the urgency is immediate! There are nearly 50,000 of homeless veterans, but fortunately we can make a difference right here. In just 3 short months Veterans Matter has provided the means for 25 homeless veterans of Miami Valley to secure initial deposits to gain lodging. At a national average of $750 for a deposit, we can do this! Please give generously. All donations will support a Miami Valley veteran. use this form to enter your payment.